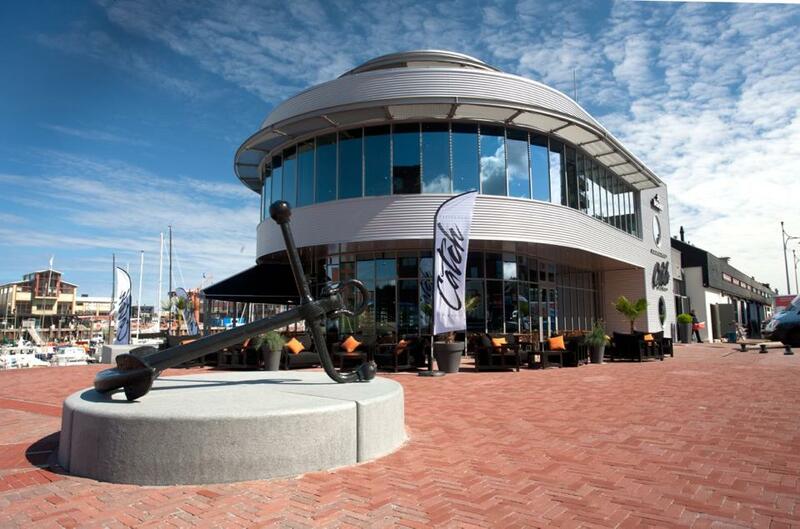 At the Marina of Scheveningen in Hague, there is an outstanding family run restaurant, which is called Catch by Simonis. 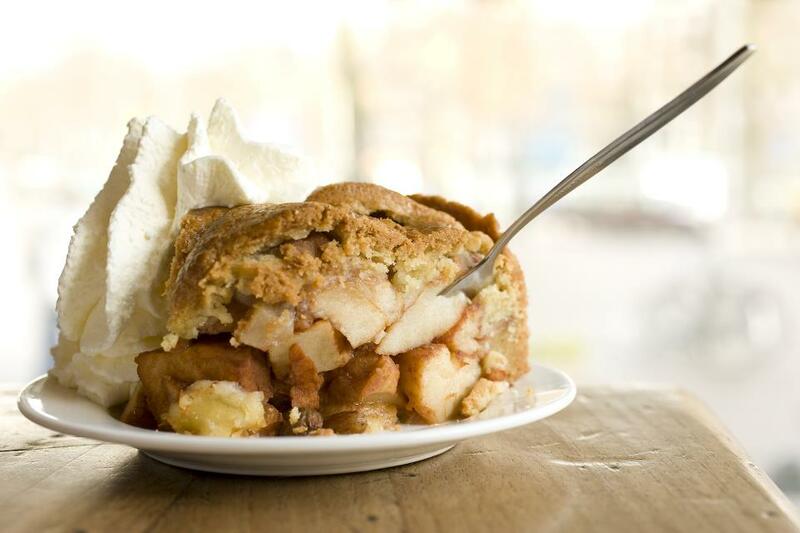 It was started by the family Simonis in 19th century and has been the fourth generation already. 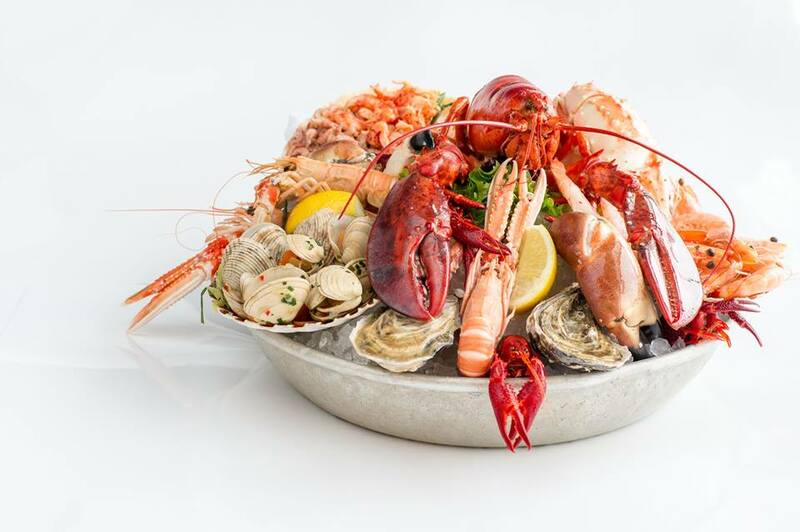 Catch by Simonis offers a large diversity of fresh fish to meat and menu changes with the seasons. Foods are beautifully dished up on the plate, and this is how they entertain their guests as well as so tasty dishes. 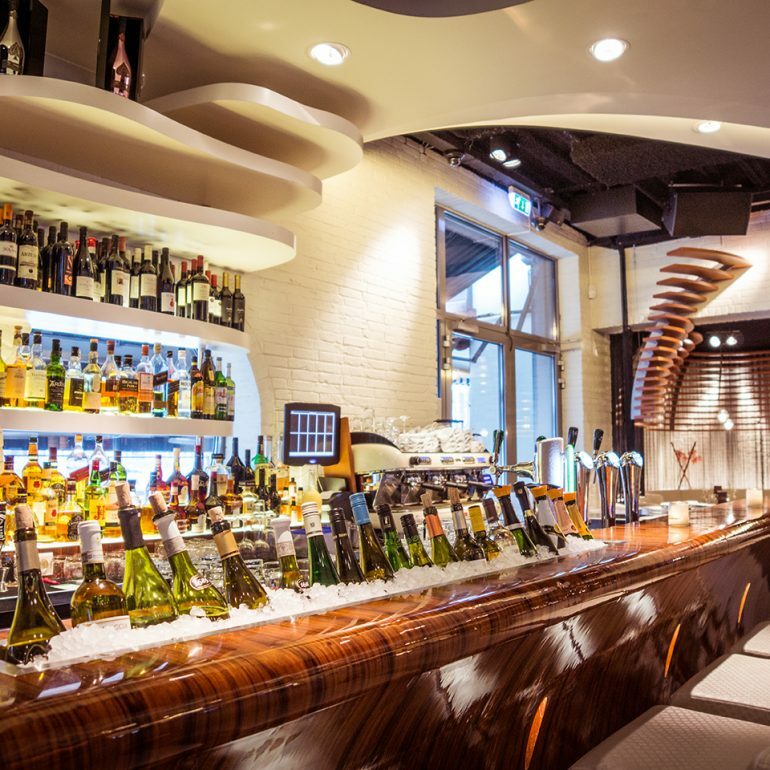 Catch by Simonis consist of four floors with capacity for 500 guests. The top floor has a terrace and from there you can overlook the yacht harbour and the sea. Under shinny sunny, this place is next to none to enjoy amazing wine and cocktails with your dear. The vibes of inside is not beaten. The ceiling, walls, oval is found in everywhere and it is more like an musium than restaurant. 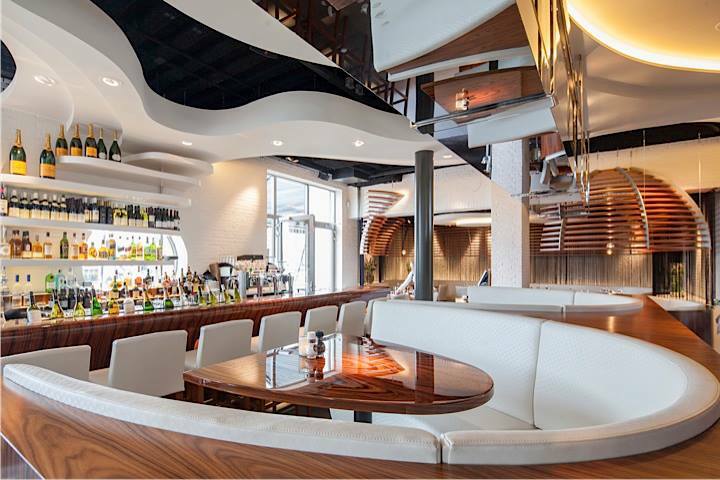 The white leather chairs and sofas bring the resort vibe into this restaurant and let you experience a precious time relieved from daily busy life. The sushi they serve is fantastic and must have for the stater. From the basic Nigiri sushi to California rolls, their variation is so wide and all looks like arts. Chef’s specialty roll should not be missed as well. It changes everyday and the chef choose today’s best seafood for it. The new types of sushi is always there and you will be surprised how creative the chef is. 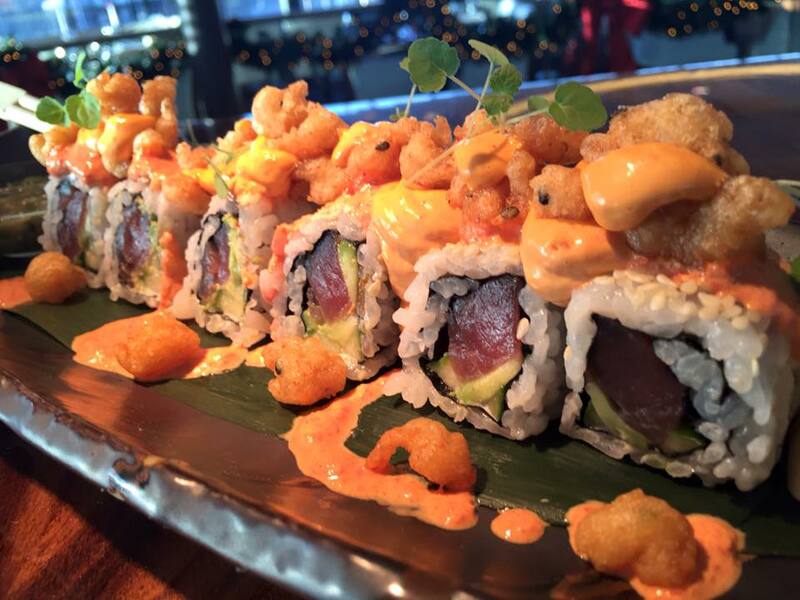 The crispy fried tuna, lobster, shrimps,avocado…you will not know until you try. Of course that the fish is so fresh and wasabi give it good accent. So yummy! The Seafood Platter is magnificent there. 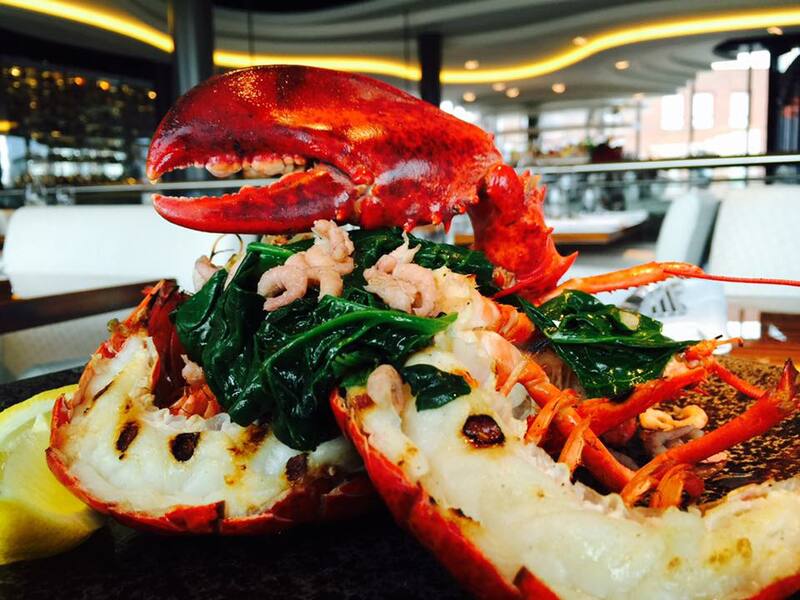 It has Canadian lobster, langoustines, various shell types, oysters and crab claws Dutch. All you want to eat come together. It must excite you, doesn’t it? For the oyster lover, they keep whole page just for oysters. It is the sigh of they have a huge confidence with it and why not try? And do not forget check ‘Catch of the day’. The chef cooks today’s best fish in the best way. We can say it is the most qualified dish on the menu. The good news for the meat lover is that they offer you steaks and burgers as well and wagyu carpaccio is die for. Hence please allow yourself to order what you like. Their wine list nevers bore you. They have 130 wines from all over the world and 30 types of champagne. This definitely takes all wine overs to the heaven and promise you a lovely and romantic night. Just to look over all lists takes a time. Hence kindly approach to the waitress and ask for their advice. They will recommend you perfect wine with your foods and let your lunch or dinner completed. Have you ever heard of Winkel 43? If not, please take a note not to forget because it is a place you do not want to miss when you visit Amsterdam.